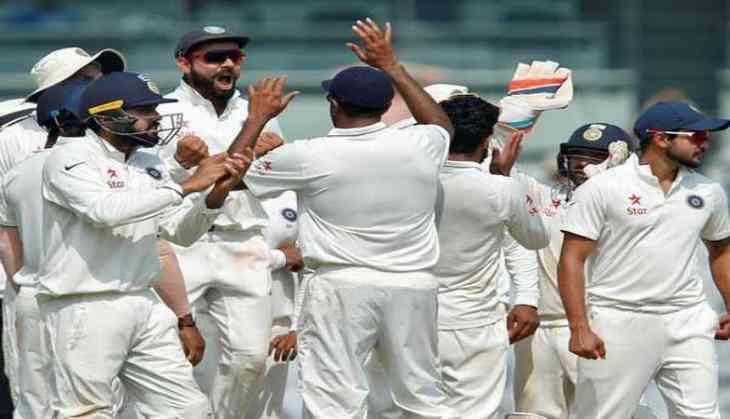 After registering an emphatic win against Sri Lanka in the first Test match, Indian captain Virat Kohli on Saturday heaped praises on his bowlers for delivering a 304-run victory on a wicket that "was really good to bat on". India had declared on 240 for 3, thus putting up a massive target of 550 for the Lankan team to win. However, a splendid bowling performance by spinners Ravindera Jadeja and Ravichandran Aswhin, who both took three wickets each, restricted them to 245, on the final day. "The bowlers came up with different plans and persisted long enough to get those breakthroughs. And at the beginning of the series, if you get a victory like that on a surface that is not offering much, it really gives the team a confidence of doing it once more if we get the surface like that again," Kohli said. "This time around, the wicket was really good to bat on, even till today if you applied yourself, you could have easily scored runs on that surface. So we had to work on getting wickets and we did," he added. When asked whether this was India's best performance, Kohli said "There are still some areas where we think we need to work. We will look back and try to improve on especially not letting the lower order to get away with few runs and there are some things which we can identify and work on." Kohli also lauded Hardik Pandya for his performance saying his presence in the side gives India a "balance," when the team plays Tests away from home. He said the 23-year-old all-rounder can become an useful asset in team and likened him with England all-rounder Ben Stokes. "I think when you play away from home that one guy gives you lot of balance and I think Hardik can be that balance for us especially playing cricket away from home. If he grows into confidence, then you can see someone else like Ben Stokes. What he does for England brings in great balance as an all-rounder. I see no reason why Hardik Pandaya can't become that for India," Kohli said. Earlier, skipper Virat Kohli (103) struck his 17th Test century that included five boundaries and one six, while opener Abhinav Mukund smashed 81.